Here you will find a historical list of the honorees of this recently-created award. A neutron star is one that glows more brightly after it “death,” similarly these filmmakers and actors do. It’s a counterpart to the Lifetime Achievement Award which is intended for filmmakers and actors who are very much alive and kicking. OK, so what is the Neutron Star Award? As I watched older selections through the year, I was frequently compelled to pick a film based on the fact that Vincent Price was in it. When I was younger I was very actor-oriented, more so than with directors. The fact that an actor had that kind of draw, and was one who is sadly no longer with us, made me think there had to be some kind of way I could honor them. Here’s one I thought I wasn’t going to hand out this year. However, even though I knew Dickie Moore from things like The Little Rascals, Oliver Twist, The Word Accuses, Three on a Match, and saw him in a few titles this year; I thought his star couldn’t grow to me – matching the definition of a neutron star – a star bigger after its death. However, after his passing I started to realize he would fit. In April I covered a movie he was in for the Pre-Code Blogathon, Blonde Venus. For the Summer Reading Classic Film Challenge I covered his book Twinkle, Twinkle, Little Star, which is a bittersweet-at-best account of the early days of child stardom, which includes the perspective of many young stars (himself included) from the early days of sound when he caught up with them again in the 1980s. Then less than a month later he passed away at the age of 89. One of the better obits I read was this one. Bogged down with other things I didn’t eulogize him at the time. I believe the one I did for Wes Craven was the only one this year. There is precedent for the recipient dying in the year he was awarded. So, while there will not be Film Discoveries like there was for 2013 (Miss Annie Rooney and The World Accusses) for Moore this year, his TCM homage is taking up much of my DVR with many titles I was hoping to have seen for quite some time. So 2016 and beyond will likely feature more of his films. No one perfectly captures all of film’s past as they learn to love and fully embrace the art. For as much as you learn and know about technique and production there is a tendentiousness to things, and everyone develops personal favorites and preferences. Some films and people are inarguably greats, or talented if their films don’t happen to reach you on a visceral level. 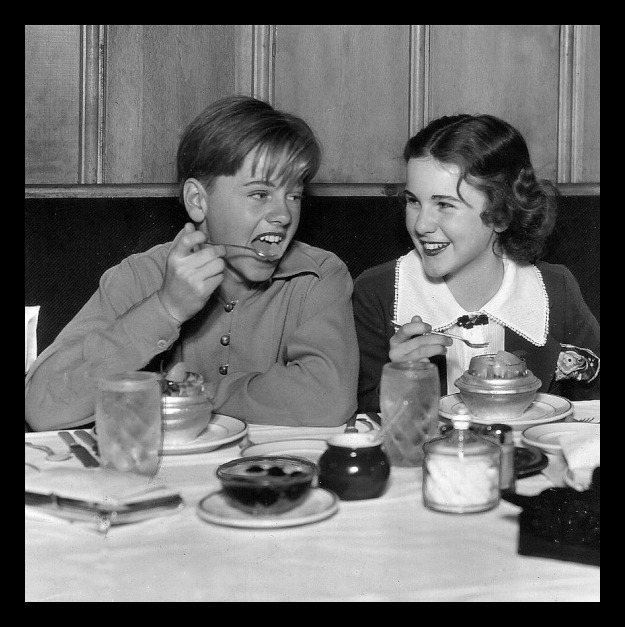 Despite the fact that he may not have been a Shirley Temple, Mickey Rooney or a Freddie Bartholomew; Dickie Moore is one of my favorites. He was undoubtedly a star in his own right, he was just surrounded by many of them in a crowded system. I look forward to getting to know more of his films that remain with us though he may be gone from this world. So I thought literally about stars, and being a nerd I confirmed that a neutron star fits the definition of a star that has gone out but glows more brightly after its passing. This one was not easy to figure out. Much of the reason this award proved difficult to choose is that with my viewings being somewhat down across the board it was difficult to find a number of actors or filmmakers who jumped up in prominence this past year. Usually, they were known as well. However, with Mickey Rooney’s unfortunate passing I did have cause to post my first In Memoriam in some time and I did feature some of his shorts after the incident, and had seen some earlier titles he appeared in. 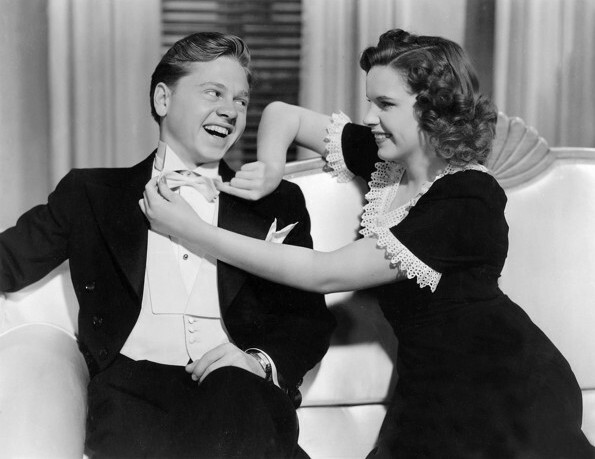 I still have, and have been meaning to see, many of his Andy Hardy titles sitting around. Then in December he reprised his role in the Night at the Museum series. As always this kind of appearance was bittersweet (particularly as Robin Williams always features prominently in those films also). For Mickey some of the bittersweetness owed to the fact that the lingering effects on his speech of a stroke were apparent. The saving graces were that he did fine and the film very classily and prominently dedicated a title card to them both. Rooney’s credits are many and I will continue to seek them out, and who knows I may find more that I can share legally here. I hope that seeing his later works will encourage new fans to discover some of his earlier works. Many of them, from varied points in his career, have been with me for quite some time. Ironically, the first I ever heard of Rooney was through an impersonation of him by Dana Carvey on SNL. Like a lot of impersonations there was some basis in fact for it, much as there was for Mickey to legitimately claim he was once the biggest star in the world. That point can be debated if you like but his impact and longevity may not be matched anytime soon. Therefore, any growth in the appreciation of his work is worthwhile. The award was created last year to recognize an actor, but this year’s winning selection is a slight fudge. However, I don’t feel I’ll be likely to re-define or expand the award any time soon so I’m going to go with it. 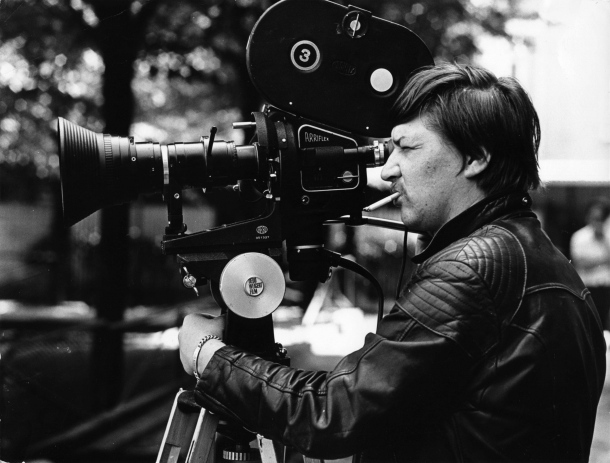 Basically, the winner did act in films and did even play leading roles, however, to be completely honest, Rainer Werner Fassbinder is winning this award for his work as a writer and director. Now a bit like Jackie Searl I did have some familiarity with Fassbinder in the past. He made appearances on both my 2011 and 2012 Favorite Older Movies list. However, 2013 was much more viewing many more appearances and was topped off by my getting both the Region 2 box sets of his films. Granted even those aren’t all his works. When you see a few things by a director you are responding to individual titles, when you see quite a few you start responding to a voice and Fassbinder’s was a voice I sought to hear speaking repeatedly through 2013, and I’m sure that will continue into the new year. In tandem with this award you should look out for this year’s favorites list, which will include his titles; and I may create a subsequent series designed to reflect the year’s winner as I have with other body-of-work awards in the past. Fassbinder had a knack, in standard feature-length dramas, making the first forty minutes impossibly gripping over and over, of also creating approachable density and magnetic melancholy, and it’s why I sought to come back to his works many times over last year and why he is the recipient of this award. As tends to be the case when I’m breaking out a new honor (e.g. The Ingmar Bergman Lifetime Achievement Award or the Robert Downey, Jr. Award for Entertainer of the Year), my initial write-up about it will be fairly short. Which brings me back to Price. 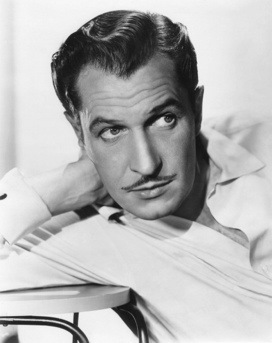 If you look at my older films list this year you’ll find Vincent Price all over it. He was not only a talent, and not only elevated works he took part in, but in a way elevated the entire horror genre; in large part because of the horror icons he arguably was the longest-lasting and most identified with it. Christopher Lee, for example, has for years been synonymous with other kinds of films, but once Price got his foothold it was nearly his sole dominion. I fight Netflix indecisiveness so anyone that great that makes me say “Oh, he’s in it? Good enough for me.” Is certainly worthy of some honor. I truly like this idea and I hope it acts as another incentive to discover and get to know other actors’ filmographies in the future.